This is a great and fun way to serve fruits to your family and friends. You may use any fruit of your choice. Combine all the ingredients, except the apple and mango, in a saucepan. Bring the mixture to a boil and then simmer gently, stirring continuously, until the agar-agar has dissolved. Turn off the heat. Divide and pour the contents onto 8-inch/20-cm round plates and swirl them around so they make a thin layer. Refrigerate for 10-15 minutes, or until set. Carefully loosen and pull the circle off the surface. 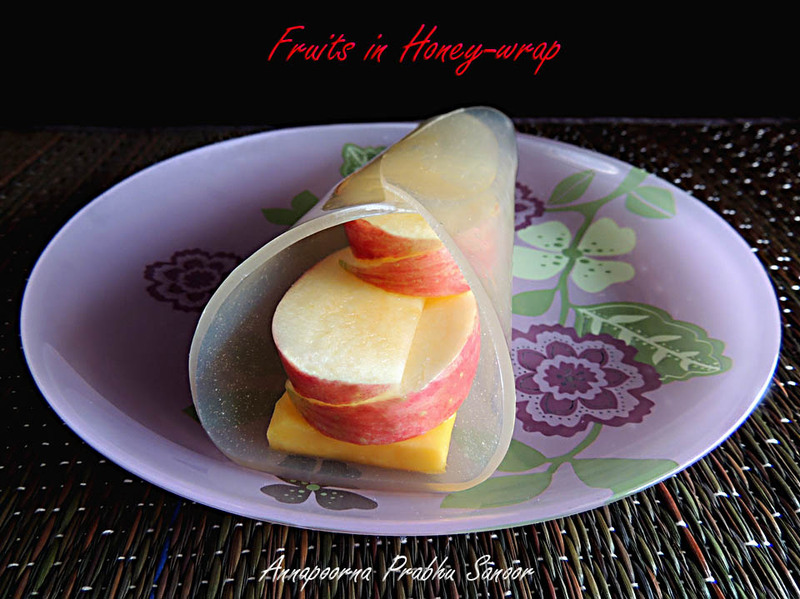 Divide and place the fruit pieces inside the honey-wraps and serve immediately.